Average Personal Injury Settlements: How Much Can You Expect to Receive? Perhaps the most common question we receive at Krasney Law relates to the average personal injury settlement amounts our clients can expect to receive. This is understandable. After all, a personal injury is a serious and traumatic event, one which can have long-lasting physical, emotional, and financial implications. Once medical bills and other expenses are factored in, you need to know precisely how much settlement you will be receiving so you can go on with your life. Of course, it is difficult to say exactly how much you will receive from your case. Different types of personal injury can bring different settlement amounts, and differing circumstances between cases can muddy the waters even further. This is why a lot of settlements are around $50,000. But make no mistake, Personal Injury settlements can easily get into the millions. So how can you get closer to understanding what you can expect from your personal injury claim? Well, it helps if we analyze these numbers in more detail. This average above represents the amounts received by 68% of respondents to a survey carried out by Lawyers.com. 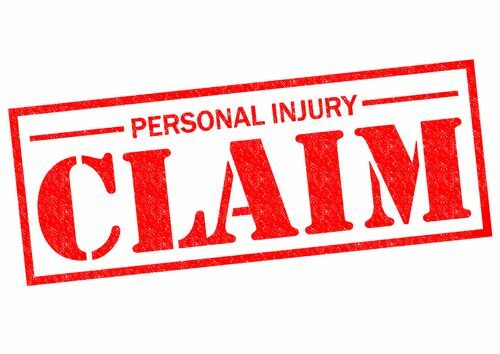 Personal injury settlements are decided by the courts based on hard facts, after the expense and disruption caused by an injury are taken into account. The higher this expense and disruption – generally caused by a more severe injury – the higher the settlement you can expect. To determine this, legal teams will take a variety of different factors into account. When calculating the final amount of the settlement, legal bodies will apply a multiplier. This is designed as a fair and transparent way to define the amount of compensation due to the injured party, based on the damage and hardship they have experienced. This multiplier can be defined as ‘higher’ or ‘lower’, with the higher multiplier resulting in a higher settlement. The decision to apply a higher multiplier will only be made if the injury is found to be solely the fault of the other party, with no blame apportioned to the claimant at all. For example, if you are injured in a traffic accident which has been proven beyond doubt to have been no fault of your own, the settlement you could receive is likely to be far greater than your initial medical expenses and other associated costs, thanks to the higher multiplier. There are many different factors which – in most cases – will lead to a higher multiplier being applied to your settlement amount. We have covered some of the most common factors below. However, it is worth noting that each case is different and that none of these factors will guarantee the application of a higher multiplier. Hard injuries are usually defined as broken bones, injuries to the head, injuries to the joints, open wounds, injuries to vertebrae, and damage to nerves. These injuries are viewed by legal teams as especially severe, and the time and expense required to treat such injuries will be taken into account. If the bulk of the medical expenses which you incur are related to the treatment of an injury, this will suggest to the courts that you require a higher multiplier on your eventual settlement. If the bulk of your expenses are related to diagnosis or something other than treatment, a lower multiplier may be applied. The legal system recognizes the seriousness and expense of medical treatment provided by clinics and hospitals. If you were required to visit a clinic or hospital for treatment following your injury, this is likely to put you in line for a higher multiplier. Consult your legal representative to learn more about this kind of medical treatment. Prescribed medication can cause significant expense to a patient, and can severely disrupt their life. If medication is prescribed to you following your personal injury, this is something which can result in the application of a higher multiplier. The length of the period of treatment received following an injury is a clear indicator of the injury’s severity, and long-term or ongoing treatment is a sign that a higher multiplier is required. While legal opinions differ on what constitutes ‘long-term’ treatment, anything more than a few sessions of rehabilitative physiotherapy is likely to push your case into the higher multiplier zone. The terms ‘permanent damage’ or ‘permanent injury’ cover a wide range of different circumstances. If you have experienced scarring, ongoing stiffness or weakness in the affected area, loss of mobility, or any other lasting impairment, this is likely to be classed as permanent damage. Any lasting distress or trauma following your injury – both physical and emotional – serves as an indicator that a higher multiplier should be applied in this case. This will need to be diagnosed by a qualified team, and this diagnosis will need to be presented to the court. Disruption to life is another general term which covers a lot of different situations. However, any disruption which caused you significant distress or resulted in you losing out financially can lead to the application of a higher multiplier. If you had to miss any school or work as a result of your injury, if you were unable to continue with a scheduled training program, if you missed out on a vacation or other event, if you had to cancel any plans; all of this may be considered to be significant disruption. The factors which indicate that a lower multiplier should be applied to your case are similarly varied and wide-ranging. We have covered some of the most common for you below. Use this as a handy checklist, and remember that multipliers are applied on a case by case basis, so there is no guarantee what sort of multiplier you can expect. If there is no damage to bone structures, nerves and other areas covered under the ‘hard injury’ criteria, the injury is likely to be classed as a soft tissue injury. These injuries include sprains, strains to muscles, and bruising. There is a clear distinction drawn between different types of medical expenses. In the event that the bulk of your medical expenses were incurred during diagnosis rather than treatment, this may be an indicator that a lower multiplier should be applied to your case. It is crucial when you are being treated for your injury that you select the ‘right’ kind of treatment. Treatment provided by a non-medical doctor, or outside of a clinic or hospital setting, may not be taken into account by the courts and may result in the use of a lower multiplier when your settlement is calculated. For most severe injuries, there will be some medication prescribed, either to manage the pain associated with the injury or for another reason. If this is not the case, and there is no additional expense incurred by the injured party, a lower multiplier will be considered. It is difficult to define exactly what short-term means, but, generally, if you have only been required to visit your doctor one or two times following your injury, your case will fall into this category. Similarly, if your recovery was a relatively quick and easy one, your case will be classed as short-term. If there is no permanent injury and no lasting damage or impairment, the courts will apply a lower multiplier in most cases. Definitions of ‘lasting’ damage may vary, but long-term scarring, impairment, or pain will commonly be considered as lasting or permanent. Severe injuries which require high levels of treatment may result in long-term trauma, either of the physical or emotional variety. If, after assessment, this is found not to be the case, a lower multiplier will be applied. You may have to prove that your life was disrupted in some way following your injury. If adequate proof cannot be provided, or if the resulting disruption is ruled to be too minor, this may not be accepted by the courts. In some cases, it may be appropriate to pursue punitive damages against a defendant. This occurs in the event of extreme negligence or wrongdoing, which is punishable by state or federal law. While punitive damages are commonly associated with personal injury lawsuits, they are, in fact, fairly rare. In most cases, a settlement amount will be defined by a civil suit and then implemented appropriately. However, if punitive damages are factored in, the final settlement amount may be increased. In the majority of instances, a personal injury settlement will be an isolated case involving only two parties. However, you may discover that there are other claimants with personal injury suits against the same defendant as you, with similar cases to your own. If this is the case, it may be beneficial to group these cases together as part of a wider class action, in order to increase the chances of success. This may affect the total amount of the settlement received, and you will be able to discuss this with the Krasney team. Tort law in the United States is designed with a very specific purpose in mind. This is to get those who have suffered hardship or injury as a result of the actions of another party the financial compensation they deserve, and to prevent injury to other parties in the future. It is not designed to provide a means by which a claimant can profit from a personal injury, or can abuse the system in any way. To prevent this, the legal system imposes certain limits on the total amount of compensation which can be received from a personal injury suit. Amounts vary between cases, but this aspect will only affect your case if the settlement you expect to receive is of an exceptionally high amount. There are other limitations which can be applied to a personal injury settlement. 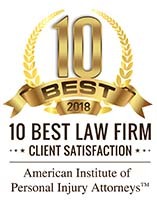 Generally, the settlement amount will be covered by the insurance of the defendant individual or organization, with only a small amount covered by the defendant directly. The limit of insurance cover that the defendant has may impose its own limit upon the amount of compensation which the plaintiff can receive. In more extreme cases of wrongdoing, or in cases of criminal culpability, this insurance limitation will not apply, but you can expect it to be implemented in the majority of cases. Want to learn more about how much you could expect to receive from your personal injury case? Want to get started on your journey to the settlement you deserve? Get in touch with our team today and let us provide you with the assistance and guidance you need. 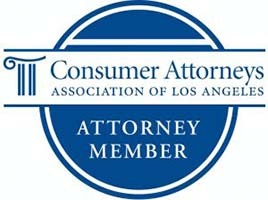 Previous Post: What Is a Personal Injury Lawsuit?